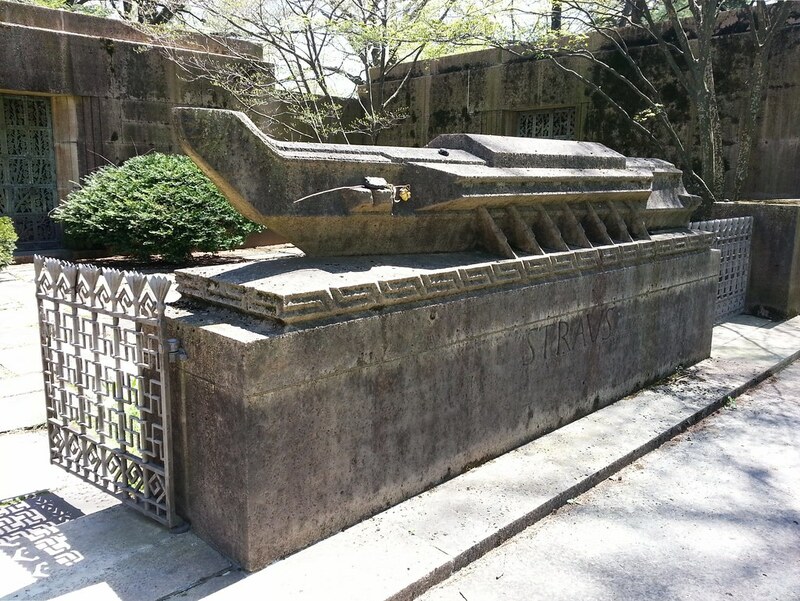 This is the tomb of Isidor Straus, a former congressman and co-owner of Macy's, and the cenotaph of his wife Ida. The couple died aboard the Titanic after Isidor passed up a lifeboat seat, seeing that there were still women and children on the ship, and Ida refused to leave his side. Isidor's body was later recovered, but Ida's was never found. The other side of the monument is inscribed with a line from the Song of Songs: "Many waters cannot quench love, neither can the floods drown it".